Except for multifamily, construction levels are still low. Some developers are experiencing historically less exuberance from lenders for new projects. “During the first 6 months of this year, construction spending amounted to $539.8 billion, 6.2% above the $508.1 billion for the same period in 2015,” according to the U.S. Department of Commerce. 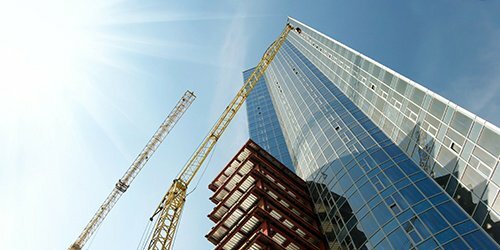 “For yet another quarter, construction volumes outside of the apartment sector remained stuck on their road to recovery,” according to the Q2 2016 REIS Construction First Glance report. For the office sector, Q2 construction registered at 8.6 million SF. This is keeping with the trend of a slow but steady increase in construction for the sector. Nationwide, 287,000 new jobs were added in June and 255,000 jobs were added in July and the unemployment rate remains at 4.9%, down from 10% at the height of the recession, according to the Bureau of Labor Statistics. There is no shortage of new development in and around Atlanta. The former Herndon Homes site comprised of 12 acres along Northside Drive is going to be redeveloped into a $150 million mixed-use project. Selig Enterprises is planning a 500-acre mixed-use project in LaGrange. Whole Town Solutions’ “Pinewood Forrest" just broke ground on 234 acres in Fayetteville. The plans include 1,200 residences, office, hotel, and retail space. A 43-year-old shopping center, Proctor Square, was just demolished in Duluth, GA to make way for a $64 million redevelopment on an 8-acre redevelopment with a 375-unit apartment complex and 11 retail and office store fronts, the Gwinnett Daily Post reported. A new report from Irvine, California-based Ten-X, ranked Atlanta as the No. 3 top buy market for multifamily properties,” reported The Atlanta Business Chronicle.